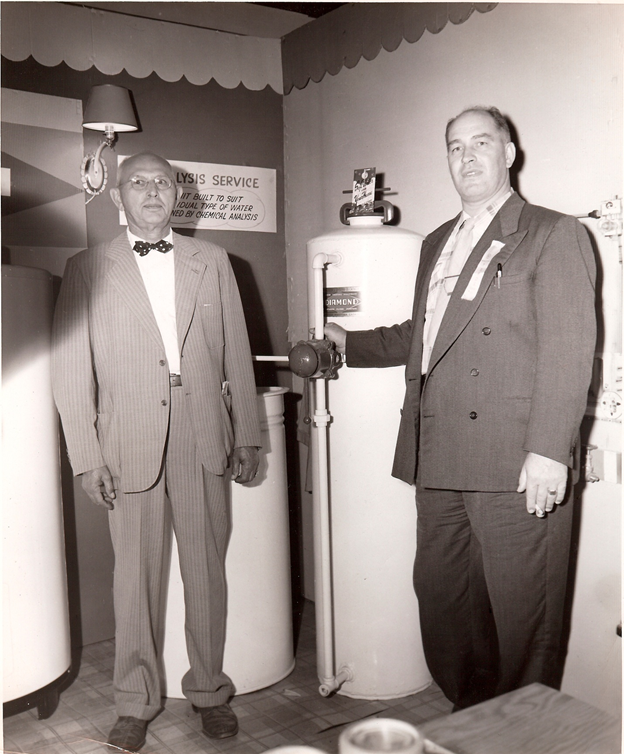 In 1932 Charles Eichinger, an accomplished chemist and avid pilot shared many interests with his son Ray whom was a respected engineer and sales person.Together they started the Oshkosh Filter and Softener company and embarked on a voyage to become some of the true pioneers of the water conditioning industry. This company designed and manufactured some of the first lines of manually operated water softeners, deionizers and dealkalizers along with a full line of water filters and water heaters. These products were marketed under the Diamond and Emerald trade marks. Through Charles passion for aviation, he became close friends with L.W. (Fleck) Fleckenstein, another pioneer of the water treatment industry. Charles and Ray worked closely with the L.W. Fleckenstein company to develop and market some of the worlds first automatic multi-port water conditioning valves. These components were the heart of the Diamond and Emerald lines of water softeners and filters. As the USA market grew, the demand also caught on in Canada. With Charles love of people and passion for his products and flying, he opened a distribution center in Brandon, Manitoba Canada. Following Rays untimely death on April 8th 1964, the company continued the tradition of manufacturing and supplying quality products until 1978 when the family sold the business to Ron Forslund a local entrapeneuer. In 1980 the manufacturing facility in Oshkosh, Wisconsin was burned to the ground by a random arsonist. 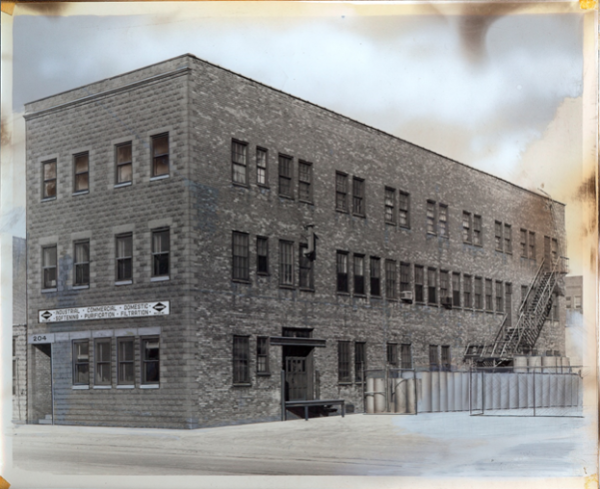 Fortunately, the business records and engineering library were able to be saved!With the help of the neighboring Lennox candle company, manufacturing was rapidly revived in a near by facility that Lennox graciously made available.This was a difficult time for Ron due to the original facility having been under insured. 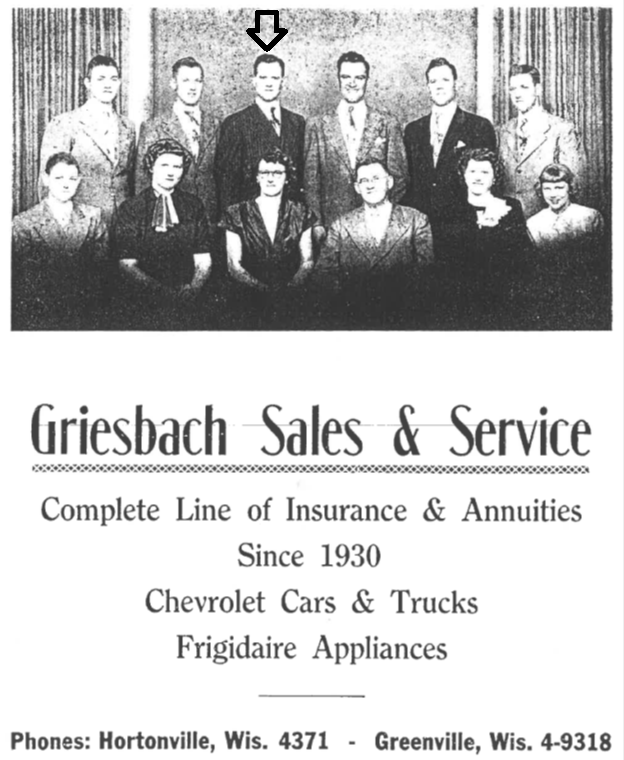 At this time Ron approached Harold and Dorothy Griesbach who have been a long time dealer and friends of the company since 1949. Harold and his twin brother Jerry were born into an enterprising family of ten sibblings. 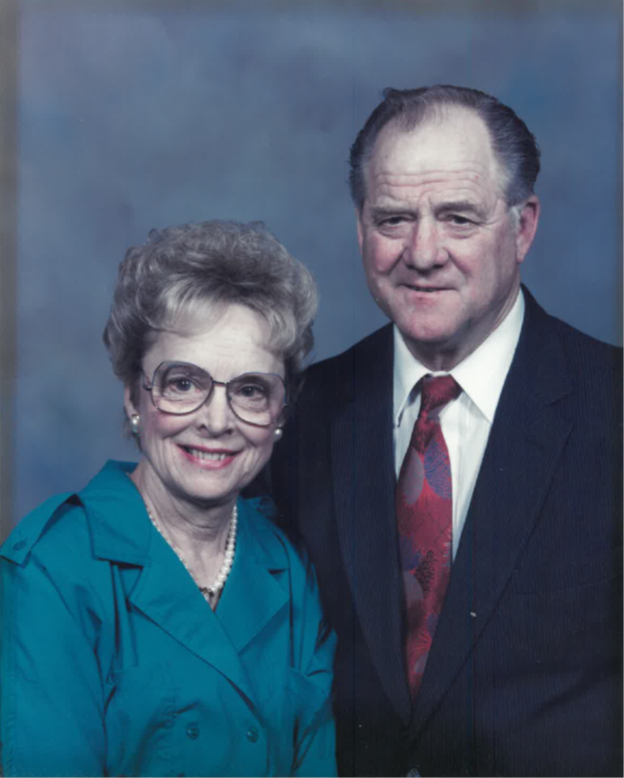 The great depression was a true character builder and molded Harold into a soft spoken, level headed, God fearing pillar of his family, community, and industry. Harold was no stranger to hard work and always encouraged his family and friends to become independent while remaining humble. While owning a small dairy farm, Harold sold his milk to the small local cheese factories which were numerous during this time period. Harold had established many relationships with these businesses and through many conversations he noticed a common need within the cheese producing industry. 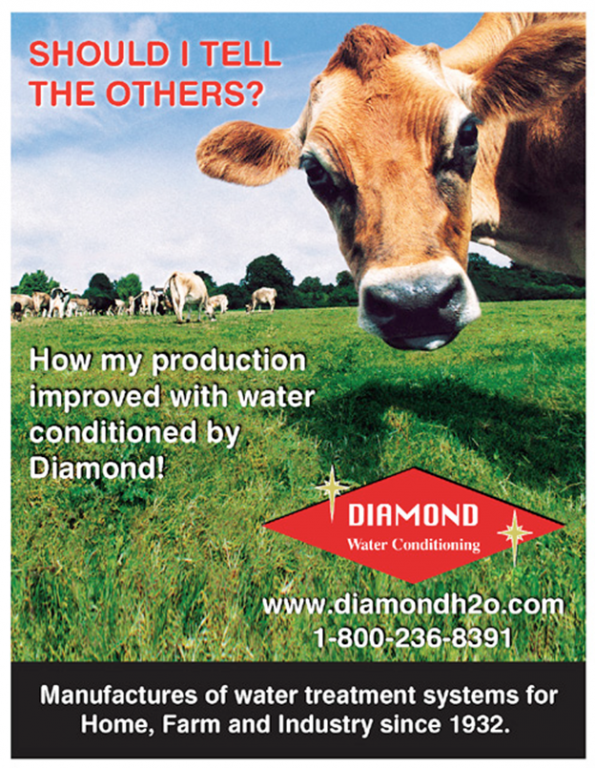 They all needed soft water and couldn’t find a local provider to satisfy them. 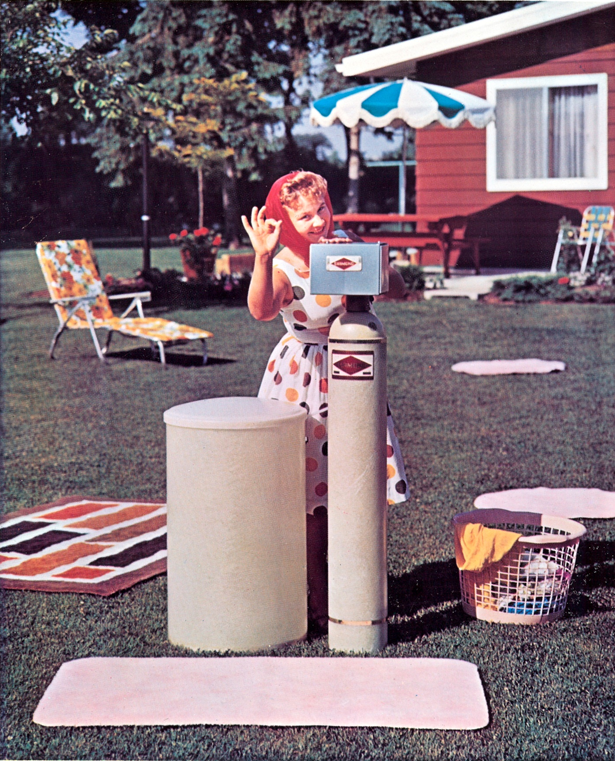 Dorothy being a bright lady that had a mind of her own, and also years ahead of her time did some homework and found the Oshkosh Filter and Softener Company. This company was on the lookout for dealers in the area, and Dorothy saw a perfect fit. So away they went, and became a successful independent dealer of Diamond commercial water softeners.In 1965 Harold constructed a service Soft regeneration plant in Greenville, Wisconsin and began a thriving residential exchange tank business which became extremely popular during this era.By 1976 the rental automatic and home owned automatic water conditioners have become the desired option by most home owners. At this time all the exchange tank accounts were converted to rental automatics or home-owned systems. Immediately the salt delivery business exploded. This salt all was brought in by rail cars and had to be transferred from a 60-ton boxcar to 3 different barns in the neighborhood. When the boxcars arrived, you would find there four sons working relentlessly to get the salt to the barns. In 1999, Thomas Griesbach, Harold’s youngest son whom through his childhood worked side by side with Harold, purchased Diamond Water Conditioning. 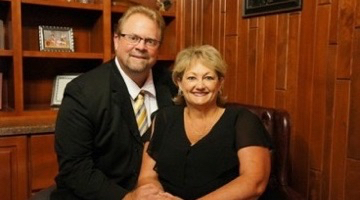 Tom and his wife, Denise, have since then seen the company through many transformations and feel truly blessed and excited about the future and the team propelling the company we know today as Diamond H2O.